In this Naked Scientists NewsFlash, we find out how gene therapy can engineer a biological pacemaker, and discover the surprisingly simple solution to Box Jellyfish stings. Plus, remnants of 7000 year old cheese and solving the mystery of ultra-luminous x-ray sources. Normal heart cells can be converted into specialised pacemaker cells using gene therapy, and this could pave the way to building a biological pacemaker, according to research published in the journal Nature Biotechnology. 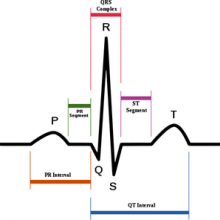 A heartbeat originates from a small region of the heart known as the sinoatrial node, which contains a small number of specialised cells which act as the pacemaker. There are fewer than 10,000 of these cells in a typical adult heart, which may contain around 10 billion other cells. They function by initiating an electrical signal that creates each heartbeat in a smooth coordinated way. If these cells are injured by disease or through ageing, the heartbeat can become uncoordinated, stopping the heart from being able to pump blood properly. 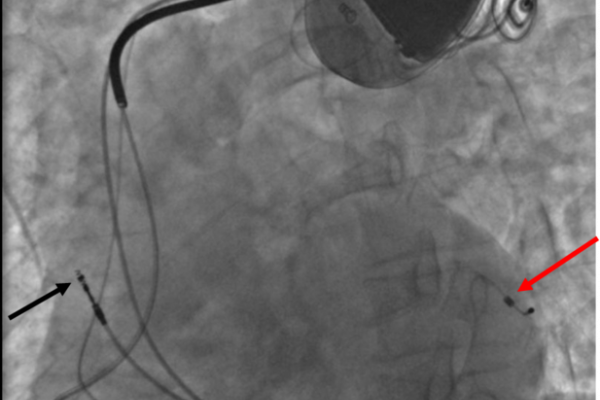 The only available treatment is to fit an expensive electronic device known as an artificial pacemaker. For the last decade, research has been ongoing to find a biological alternative. Now, Nidhi Kapoor and colleagues at the Cedars-Sinai Heart Institute, in Los Angeles, California, report that they have been able to convert adult rat heart muscle cells, called cardiomyocytes into pacemaker cells using gene therapy. They examined a number of candidate genes, all known to be expressed during embryonic development of the heart, and settled upon a gene called Tbx18. When Tbx18 was loaded into a adenovirus vector and expressed in adult cardiomyocytes, they become "faithful replicas" of pacemaker cells, exhibiting the correct epigenetic markers and functioning in the right way. Further tests confirmed that the cells operate the same clock mechanism, respond to external stimuli such as hormones in the same way as natural pacemaker cells, and even took on the small size and characteristic shape of natural pacemaker cells. This was the case both in the dish and in animal models of heart disease, where the gene therapy was local, effective and long lasting. Furthermore, they retain this new function even after the gene stops being expressed, so further treatments aren't needed. The researchers call these new cells iSAN, or induced SinoAtrial Node cells, and suggest that in the future, we could grow a clump of pacemaker cells before transplanting them, or simply inject a gene therapy agent directly into a patient's heart, doing away with the need for artificial pacemakers. 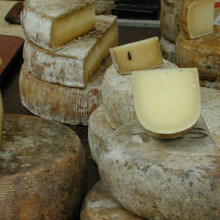 This week, scientists have uncovered residues of 7,000-year-old cheese. Chemist Professor Richard Evershed from the University of Bristol is one of the authors of a paper in the journal Nature this week which describes how he and his team have made this rather milky discovery. Chris - So, how did this story begin? Richard - Well, it began truly about 30 years ago when one of our co-authors, Peter Bogucki, was putting together evidence from sites he'd been excavating with colleagues in Poland where they've been uncovering these perforated pot shapes, ceramic pot shapes and he propounded a theory based upon those pot shapes that they were basically cheese strainers and started to develop the idea that these early farmers, which is the Linearbandkeramik culture, were dairy farmers. Chris - When you say they were perforated pots, we're talking clay pots with fairly substantial holes drilled in them, rather like a top of a pepper pot? Richard - Very numerous holes, if you look at the images that are in the article. They're all over the vessels. They look like a sort of small colander. Chris - Obviously one can say they look like the kind of thing that modern-day people use to strain cheese, but just because they look like it doesn't mean they definitely were being used to strain cheese. Is there anything else they could've been used for? Richard - That's right and in fact, we've had an interest in identifying dairy products from the archaeological record for a number of years. These vessels were one of the major sources of sort of typological evidence, but I must admit, I've been rather sceptical and I'd often said in my lectures, but surely, this could've been used for straining anything. Chris - So, how did you approach dealing with this and trying to find out what they really were used for? How did you discover cheese? Richard - This is where the two studies collide. Our research, going back about 12 years now has been focusing on looking at the origins of dairy by looking at the pottery vessels, usually cooking vessels. We've developed a methodology, a chemical method which allows us to identify milk fat. It's based upon the fact that animal fats, which are the most common type of organic residue you find in archaeological pottery when you study pottery from Europe, can be identified through their fatty acid signatures. Based upon studies that we've done, studying many modern animals, we've developed a very robust proxy which allows us to separate ruminant, carcass fats from dairy fats, pigs, horses can all be separated. So we can quite constantly identify different fats. So if we go into archaeological pottery, recover the residual fats in there, we can identify these fats quite unambiguously as to whether they're dairy fats or carcass fats. Chris - These pieces of pottery have been in the ground in this site in Poland, in the centre of Poland for 7,000 plus years. Richard - It's remarkable, isn't it? Yes. Chris - And you can get fats out of them, that were from the cheese or the dairy products these people were working on? Richard - Absolutely. It never ceases to amaze me. It's due to the fact that these fats are preserved deep within the fabric of the pottery and I imagine that they go into sort of molecular size pores in the alumina silicate matrix where they're protected from say, bacteria getting in there to degrade them. And in the right sort of soil types, they're protected from leeching from under the pottery by ground water. Chris - So, you've got specimens of the pots, you took small samples which enables you to isolate these fats. What do those fats tell us then? They say that there was dairy material in these pots? Richard - That's right and just to clarify, we're not only focusing on these cheese strainer vessels. We've looked at a large number of other vessel types from the site and quite specifically, what it shows is that these perforated vessels, these putative cheese strainers are the ones that contain dairy fats. And so, if you then start to put this together this as like a forensic exercise, we've got dairy fats associated with perforated vessels and you start to ask yourself the question: What other milk processing activity could you reasonably have been doing which required you to strain some sort of milk product? Well, it's cheese making. There is no other milk processing activity that uses a straining activity. Chris - Why do you think these people wanted to make cheese? Richard - Well, there's two motivations. One, you would be producing - if you had a substantial dairy herd as the animal bone assemblages from these sites seem to suggest - you would have surplus of milk at certain times of year, in the summer time for instance. So, the production of cheese would've been a way of producing a non-perishable product that you could then preserve throughout the year so you could just take full advantage of the nutritional properties of milk in the winter time. But there is another critical factor and this is where Peter Bogucki comes back into the story with his paper from the 1980s. It's related to this lactose intolerance phenomenon. It's very likely, almost certain that these early farmers were lactose intolerant, so they would, potentially, have got quite poorly, had they been drinking substantial amounts of whole milk. So, it looks like this straining activity was perhaps the recognition of this and they had found a way of getting around the lactose intolerance problem. What you're doing when you separate the curds from the whey, the whey contains the lactose. So you're actually producing a lactose reduced product when you produce cheese and thus, lactose intolerant farmers would've been able to exploit the nutritional qualities of milk. 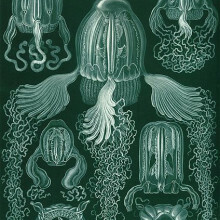 Scientists have discovered how to block the action of the venom of the lethal box jellyfish family. Using a new extraction technique to isolate the stinging cells, or nematocysts, from the tentacles of two species of the box family, including the north Queensland resident Chironex fleckeri, University of Hawaii researchers Angel Yanagihara and Ralph Shohet were able to isolate the venom components at unprecedented concentrations and purity. This has enabled them to examine in detail how this potent cocktail of chemicals, to which at least 100 people fall victim worldwide each year, exerts its lethal effect. Using samples of freshly-donated human blood, the researchers confirmed that the venom components attack red blood cells by assembling tiny pore structures that punch holes through the cell membranes. This causes the cells to swell and then burst open, releasing into the bloodstream large amounts of potassium, which is normally kept locked away inside cells. This, Yanagihara and Shohet speculated, could disrupt the electrical activity of the heart. To test this, they administered varying doses of their purified venom samples to mice, which rapidly developed escalating potassium levels, changes to the electrocardiogram consistent with potassium toxicity and cardiac arrest. This is almost certainly the cause of death in the majority of human victims that receive lethal envenomations, which is not difficult given that the tentacles can be metres long and are each loaded with half a million venom-laden nematocysts. Next, the researchers tested a range of different treatments to attempt to mitigate the effects of the venom, including using doses of the antivenom traditionally prescribed in emergencies for box jellyfish stings, and a range of metal salts, including zinc gluconate. Porcupine quills penetrate skin better than a hypodermic needle because of tiny backwards-facing barbs at their tips, which also render the quills very difficult to pull back out. This trick could now inspire better medical equipment such as needles and tissue adhesives. 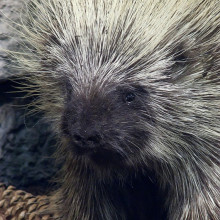 North American Porcupines carry around 30,000 spines and are known to be an effective defence mechanism - they penetrate tissues easily and are often difficult to remove. Unlike those found on similar animals such as the African porcupine or our own hedgehog, North American Porcupine quills have a series of microscopic barbs on their tips. These barbs intrigued researchers, including Dr Jeffrey Karp from the Brigham and Women's Hospital in Boston, who then undertook a series of experiments to see what effect these barbs had. Publishing their results in the journal PNAS, the researchers describe a number of experiments, measuring the force required to penetrate a sample of pig skin, and then to pull the quill back out. They repeated their tests with quills where the barbs had been sanded smooth, and with other items of a similar diameter, including a hypodermic needle. Unsurprisingly, having backwards-facing barbs means more effort is needed to remove a porcupine quill than a smooth quill - almost four times as much force was required as with a barbless quill. The surprising result, and for the researchers the most interesting, was that the presence of barbs reduced the force needed to penetrate into the muscle. While an 18 gauge hypodermic needle takes around 0.59 Newtons of force to pierce into pig flesh (bought from a local butcher), the barbed quill required only 0.33N to achieve the same task. Samples taken from the skin and observed under a microscope also showed a much smoother puncture site, suggesting that the tissue had absorbed less energy from the quill, and therefore taken less damage. Computer modelling suggests that the barbs concentrate force onto a smaller area, much like the jagged edge of a serrated knife. This reduces the need for the tissue to deform around the entire circumference of the quill, resulting in easier penetration and less damage. The authors argue that mimicking the barbed structure could allow creation of microneedles that penetrate easily but resist buckling, and enhance a range of other biomedical applications. 14:58 - What are ultra-luminous X-ray sources? Research published just this week offers new solutions to a long-standing problem – What are ultra-luminous X-ray sources? What are ultra-luminous X-ray sources? 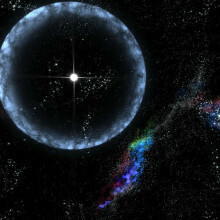 In a galaxy far, far away, mysterious objects have been blasting out super bright x-ray bursts towards the Earth. The only galactic objects that are brighter than these are super massive black holes that exist in the centres of galaxies. And so far, they've not been able to work out what these really bright objects known as ultraluminous x-ray sources actually are. But now, Durham University's Dr. Tim Roberts and his colleagues have finally shed some light on what these things could be. Tim - There's a long standing mystery in x-ray astronomy which is the nature of these objects called ultraluminous x-ray sources. They're the brightest x-ray sources we see in other galaxies outside of the central x-ray source. We've seen some galaxies which are big, what we call a super massive black hole. We've thought for a while that they are other black holes, smaller black holes, but the real mystery is how big they are, whether they are similar to some black holes we see in our own galaxy, thet are roughly the size of our sun or whether they're something in between, something we call an intermediate mass black hole. And so, what this work, what we do when we look at ultraluminous x-ray sources is we're trying to discover the size of black holes. Chris - How does looking at the x-ray sources actually tell you how big the black holes are? Tim - This is very useful physical property of black holes that we think gives an indication of how big they might be, and that's simply how bright they are. It turns out that there's this thing called the Eddington limit which really is if you like, a maximum brightness that they can reach for a given mass for a given size of black hole. Chris - Why do they pump out these x-rays? Tim - You get x-rays from black holes is basically actually the best way of finding a black hole, is to look for this characteristic x-ray emission. You get that when a black hole feeds, when a black hole, what we call accretes materials from something else. Now in some black holes, that's just the accretion of gas. Just free gas that floats into space. Generally, that's how you see these super massive black holes at the centre of galaxies. But in certain cases, for the smaller black holes, occasionally, you find them orbiting another star. So, it's like a binary star system, where one of the stars is a black hole, and in those systems occasionally, they're close enough that the black hole can actually pull gas off the outer surface of the star, and that's when you see them. The gas falls into the intense gravity field of the black hole and gains energy. It gets spun around and round quicker and quicker, and gets hot. It gets so hot that it literally glows in x-rays as it approaches the edge of a black hole and that's really how we see it. Chris - So, this one that you're documenting in Nature, how did you spot it? Tim - Well, with the satellites we have at the moment with the big Xray observatory missions, there are some objects we tend to look at quite frequently. One of those objects is the Andromeda galaxy. That's because a lot of the x-ray sources you see in neighbouring galaxies are what we call transient then we turn on for short periods of time. They turn on and then they very quickly turn off again. So we have these programmes where we're monitoring the Andromeda galaxy fairly regularly to look for sources that go on and then fade and go off again. This is one of those sources. Chris - Andromeda is about what, 3 million light years away? Tim - 2 to 3 million, yeah. Chris - And when you made these observations, what did you actually see? Tim - Well, we saw a source that we haven't seen before that had turned on. We looked again a couple of weeks later and it got brighter and over the next few days, it brightened further. Until it got up to luminosity and the units we use are about 1039 ergs per second. Now that's interesting because that is the Eggington limit for a stellar mass black hole - one that's roughly the size of our sun. Chris - And what did this tell you? Tim - We saw this incredibly luminesque outburst of radio emission. Even more extraordinary, the radio emission seemed to be changing very rapidly. It was fading away pretty rapidly as we were watching it. That was in combination with a very slow decay of the x-ray emission. Now, that's interesting too, us because we've seen very similar behaviour in sources in our own galaxy when they're at their brightest. And the great thing about the sources in our own galaxy is we know how big the black holes are. The black holes again, are these stellar mass black holes, these ones that are of the same order. They're slightly bigger. They're all of the same order of our own sun. What that means is that ultraluminous x-ray source is coming from stellar mass black hole and that's really interesting to us because it tells us that by extension, a lot of these other mysterious ultraluminous x-ray sources we're seeing in other galaxies potentially are stellar mass black holes and that's the mystery we've been trying to solve for a long time. Previous How do touch sensitive switches work?